We are often asked for more healthy snack ideas. So, we came up with these healthy muesli bars. We didn’t anticipate them to taste so darn good when playing around to come up with the recipe. These healthy muesli bars are an easy and filling snack. In our war against waste, why not make your own muesli bars to reduce some wrappers heading to landfill? While there are a some muesli bar brands out there that are okay in terms of sugar content and added preservatives, the majority are heavily loaded with milk solids, emulsifiers, preservatives, wheat and wheat derivatives. These muesli bars are void of all of the above. 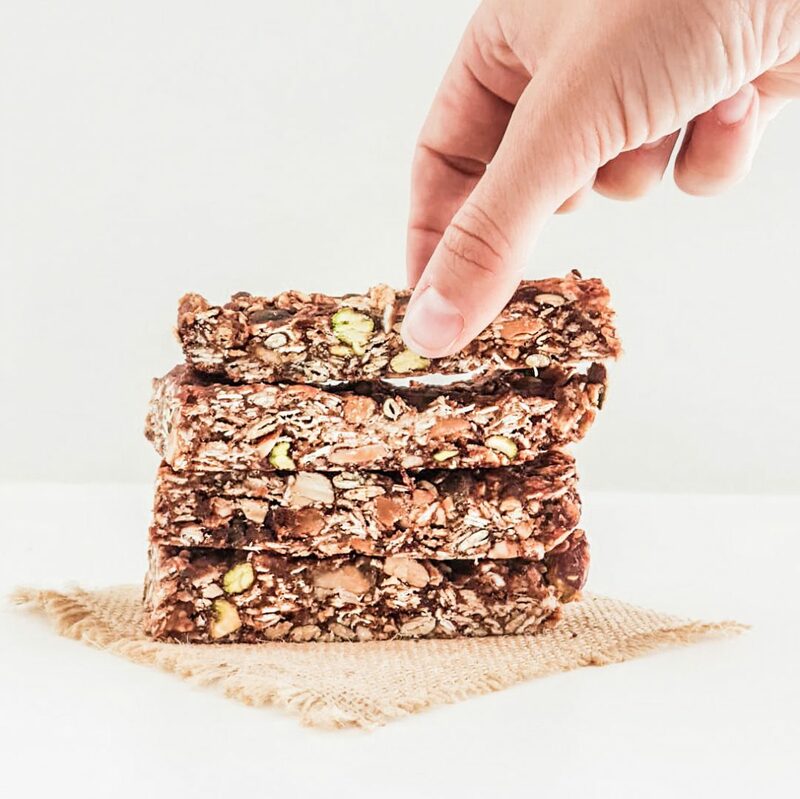 Sweetened naturally with only dates and rice malt syrup (having one of the lowest glycemic index’s of all the sweeteners), these healthy muesli bars are high in protein, dietary fibre. Oats are rich in minerals such as zinc, magnesium, iron and selenium. Oats also contain a little something called beta-glucans. They are a soluble fibre which, in the gut formed a thick gel and essentially acts like a mop. Binding and sweeping up excess cholesterol and excreting via the bowels.